Ask and answer questions about yourself. A colour version and a B/W one. This downloadable teaching material is best suited for high school students and elementary school students at Beginner (pre-A1) and Elementary (A1) level. 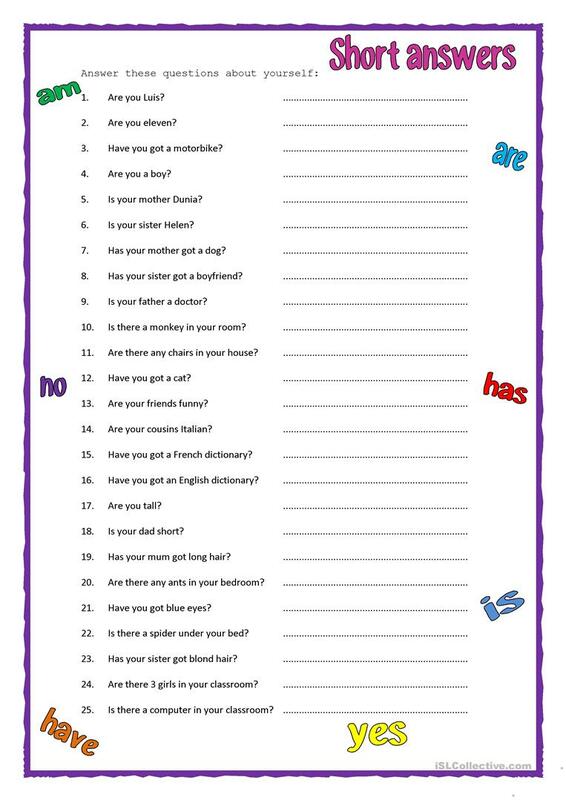 It is great for revising BE (auxiliary verb), HAVE GOT or HAS GOT, Questions (interrogative), Questions and short answers and There is / there are / there was / there were / there will be, etc. in English, and is excellent for honing your pupils' Writing skills.